Many quips are made about the ineffectiveness new year’s resolutions, but research has shown that the start of a new year actually does create a platform for change. 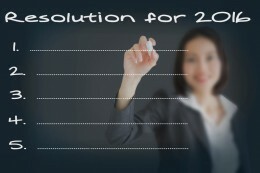 According to a spate of studies, a new year creates a catalyst for self-improvement activities. Google searches for words such as diet, gym attendance and exercise peak in January. It makes sense then, that we plan for a successful business year in January as well. It’s a time to change the current way of doing things, set goals and aim for improvements. But, just as with your new year’s resolutions, these can either remain a list of wishes or become an action plan for the year ahead. There is a way of ensuring the latter takes place. We recommend bringing on a contract accountant for this period of time. Here’s how the input of a contract accountant can help make the planning process a success. Setting goals that are unrealistic is both demotivating and counter-productive. If you currently weigh 95 kilograms, it would be wiser to aim to lose 15 kilograms in a year rather than 30. Your contract accountant will help you know how much your business “weighs” upfront in order to know what goals to set. They’ll help give you a sense of where you’re at and what you can realistically aim for. If you’ve set a weight loss goal, your next step would be to determine how to go about achieving it. You’d set goals for exercise and goals to eat a certain number of calories daily, or to cut out excess carbs and sugar. Similarly, your contract accountant will help you know where to allocate your resources in order to achieve your profit and margin goals. They’ll help you decide what to spend on sales and marketing and how to much to inject into new capital. A trained finance professional, for example, can perform a cost analysis for a product that you’ve been manufacturing over the last year. This will help you determine whether you’ve pitched your product at the right price or should go higher or lower. Your contract accountant should give you a sound basis on which to choose a direction, and the confidence to do so. As you look for a fresh start in your company this year, consider bringing on a contract accountant to help you plan for it. Contact The Finance Team to find out how one of our associates can help you plan, budget and make decisions that will give you the fresh start you’ve been looking for in 2016. You know how to take an idea and turn it into a viable, money-making entity. You know how to manage a team of people. You know how to pitch a deal and make a sale. But do you know how to manage the money that is powering your business? Entrepreneurs are often recognized as ideas people. They’re attracted to concepts and opportunities. They’re often painted as “big picture” people – a trait necessary to maintain success in their field. But along with that is the stereotype that they’re less concerned with the detail. That they pay more attention to their marketing campaigns than their bottom line. And while this may be true of many entrepreneurs, it is not true of all. In fact, the most successful among us are those who have learned to straddle the line between detail and ideas. And that includes tracking the rands and cents. The leading entrepreneurs are not only managing people and processes, they’re also rigorously managing budgets. Only as we harness this skill will we have true control over our businesses – both in the present and future. Here are some tips for how the top entrepreneurs are managing budgets. 1. They’re managing budgets through forecasting continually. Just as an idea tends to germinate and grow more quickly than you anticipated, so the budgets governing projects can just as quickly balloon. If you forecast the budget for a project once and then never look at it again, don’t be surprised when you end up with a nasty shock once the project is completed, and don’t complain when you have inadequate cash flow to meet your commitments. It’s much easier to correct a 10% project over-run halfway through the project, than a 45% project over-run once it’s complete. 2. They’re managing budgets by keeping their teams informed. 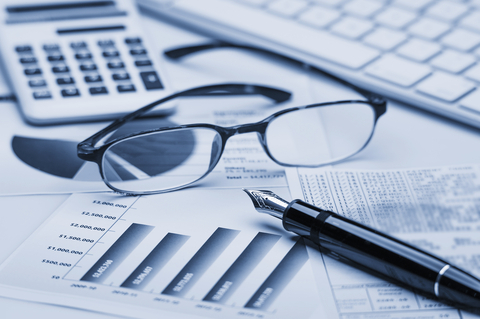 Once you’ve conducted your budget forecast, you need to inform your team of your expectations. Throughout the year (or quarter, depending on how often you’ve decided to conduct budget forecasts) you need to keep your employees informed every time the budget forecast changes. 3. They’re managing budgets by amping up accountability. 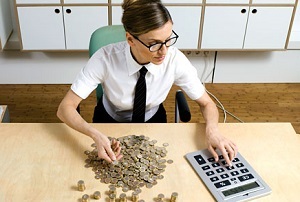 Do your employees know that if they waste resources, there will be consequences to face? Make it clear to each department head that actual spending will be compared with budget forecasts – and that those who have overshot their spending allocations will need to answer as to why. Help each department to understand that a proactive approach needs to be taken with its budget – if the department anticipates it might go over budget, their responsibility is to raise the red flag with senior management as soon as possible. This, of course, can only be done if the department is conducting its own internal budget forecasts. 4. They’re managing budgets by incentivizing conservative spending. Small businesses often emphasise sales and growth targets above all else. While these metrics are undoubtedly important for a company trying to carve out its identity in the market place, it is equally important to place internal targets around sticking to budget or coming in under budget. Get creative here: hold inter-departmental competitions, or promise a weekend away to the manager who best contains spending over a two-quarter period. Establish a culture of mindfulness and frugality, and soon your employees will begin to see budget management as a frequent requirement and a sign of effective leadership. Make managing budgets a seamless part of your weekly management routine, and you will soon be able to join other leading entrepreneurs in appreciating why control in this area is of paramount importance. If your company needs some pointers in effectively managing budgets, speak to The Finance Team today. Our associates are all highly qualified and experienced finance executives who can help you devise a budget management process that will help your organization achieve its greater goals.